I would like to suggest some features that if eero incorporated it would blow the competition out of the water and make headlines for sure. It would be very cool to have a notification every time a new device joins the network. That way if someone tried to join your network maliciously you would at least get a notification on your phone telling you they joined. Advanced users could also be notified every time a device joins/re-joins in the case of an attack where a user copies your MAC address and impersonates another device on the network. ALARM if two devices with the same mac are trying to join. If a new device wants to join you could send a notification to the owner's phone that would require them to approve the new device from joining first thereby adding a 2nd factor to the authentication of a device to the network. The current trend to make everything in your house connected to your WIFI (IoT) is great, but people are also using it for security systems and security cameras. Where a single DoS could be done with a $20 or less wifi device with a repetitive Deauth attack. This is a HUGE unaddressed vulnerability in these systems that eero could at the very least let the owner know that it is happening by sending a notification to their phone. Please add these and then eero with be truly amazing! 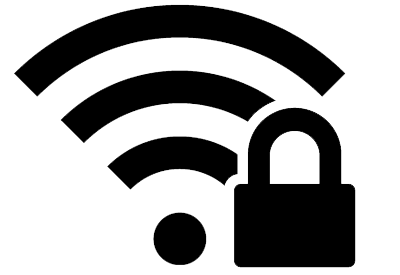 Please vote this up if you care about wifi security. Thanks for your feature requests and welcome to the eero community! We do have a category already for app notifications, which can be found here. Thanks again, we'll be sure to update this thread with any updates. And of course, we'd love to hear any other feedback from the rest of the eero community on these requests. Jeff C. These are all excellent ideas! Especially the 2step join feature for us iOS 12 users. Apple recently added a share WiFi password that annoying pops up on everyone’s iPhone and iPads in the house when iOS user wants to join. It’s as easy as clicking accept and they are on your network. There is NO WAY to turn off this feature either. So there has got to be a way you guys at eero can work around this annoying problem. I’m sure I’m not the only one with this problem.